The update on iOS can be expected from users working with WhatsApp version 2.18.52 and for Android beta users, the same can be expected from WhatsApp version 2.18.145 and higher. Earlier this month, Facebook held its developer conference F8 where they made a few major reveals, including a dating service on their social network. However, one of the more immediate changes were made in case of the most popular messaging application, WhatsApp. Facebook had demonstrated group video calling for both WhatsApp and Instagram. Instagram is still out of the update loop but it seems a few users of WhatsApp on Android beta and iOS have started receiving the update. According to Tweets from WABetaInfo, few users have reported receiving the new feature. It's available for a few users only and it doesn't work with an invitation system. The update on iOS can be expected from users working with WhatsApp version 2.18.52 and for Android beta users, the same can be expected from WhatsApp version 2.18.145 and higher. If users on both the platforms are still unable to locate the new update, it might be because the feature is being rolled out selectively. Also, the new feature cannot be accessed by invitation. To check if your WhatsApp version has received this update, you can make a normal video call. While making that call, if you find an option to 'add participant' that would mean your device is one of the very few smartphones to receive the update. 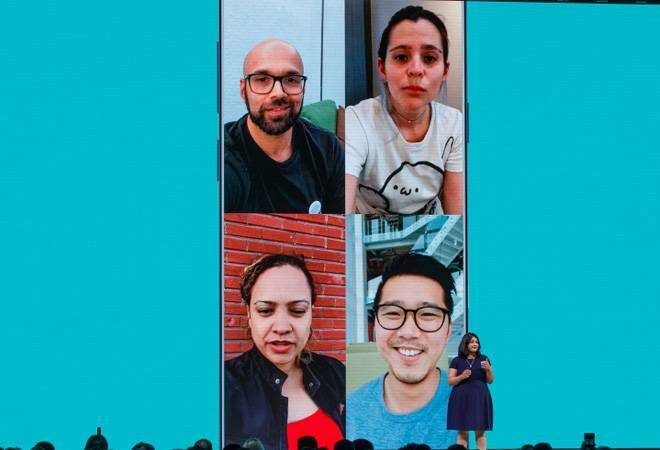 The company had promised during the F8 Keynote that this group video calling feature on WhatsApp will find its way to devices within a couple of weeks. Since the feature is now under testing, the users on stable builds can expect the feature in a few weeks' time. WhatsApp has been under the scanner after the second of its two co-founding members, Jan Koum quit his position as chief of the messenger service. There was no clear reason pointed to this departure but according to earlier reports, Facebook wanted to monetize WhatsApp by introducing advertisements, which seemed to go against the principles of both the founders. Brian Acton, the first founder to leave the messaging platform after Facebook's $19 billion acquisition, is invested in a new chatting application that will focus on a more robust encryption.